The short stack keeps surviving! It's been an hour and a half since Venkat Ganne was eliminated in 6th place, and play has amazingly stayed five handed for that long. The short stacks keep getting their chips in with the worst hand and coming out the winner. It has happened so many times that the players are beginning to discuss the possibility of trying to get seven deuce to push in with. Venkat Ganne has been eliminated when his [Qs][Qh] ran into the [Ah][Ad] of Sammy Wu. The board ran out [4c][Tc][Th][Td][7s] to eliminate Venkat in 6th place, good for $5,760. 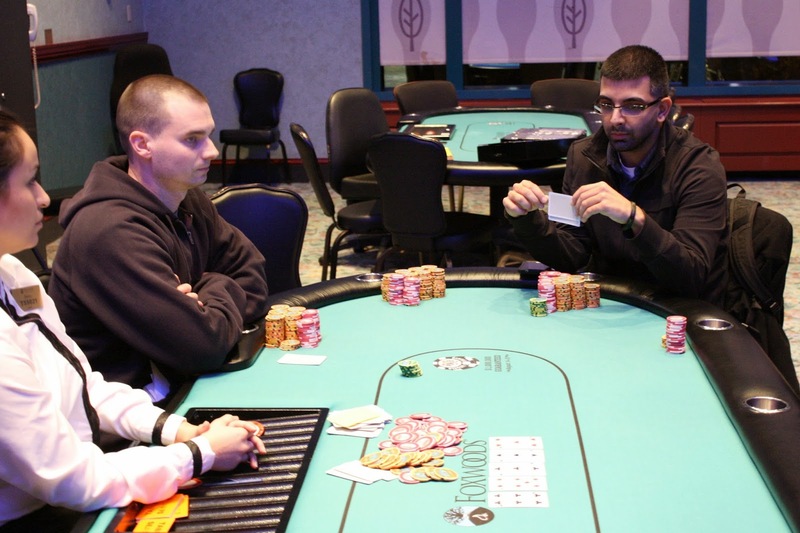 Bill Papaclopoulos was all in preflop holding [Kh][Kc] against Mark Checkwicz's [Ah][Qd]. 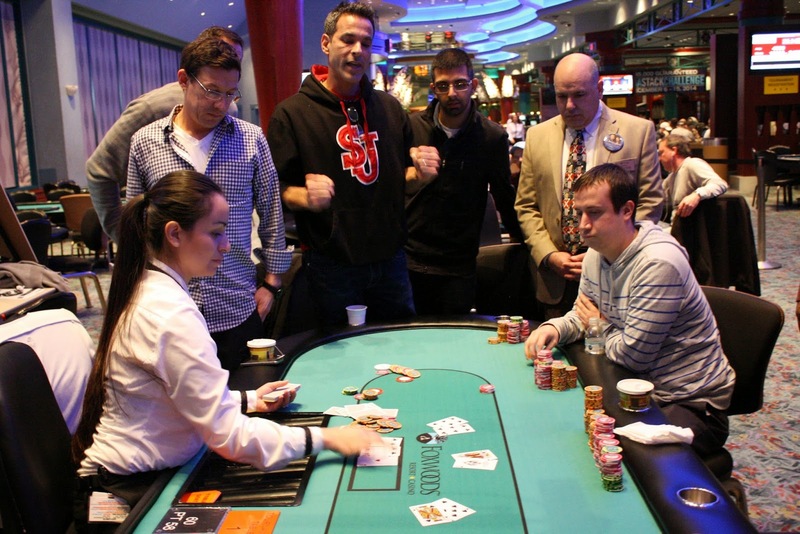 Bill asked the dealer to be nice, but the [9c][9s][Ac] flop was not what he was looking for. Bill failed to find a king on the [5h] turn and [Td] river, sending him to the rail in 7th place. He will collect $4,752 for his efforts. There was a three way all in between Richard L. Fisher, holding [7s][7d], Venkat Ganne holding [Ks][Kd], and Sammy Wu holding [As][Ah]. Sammy was able to hold off any bad beats as the board ran out [2h][5h][Jd][8c][Js]. 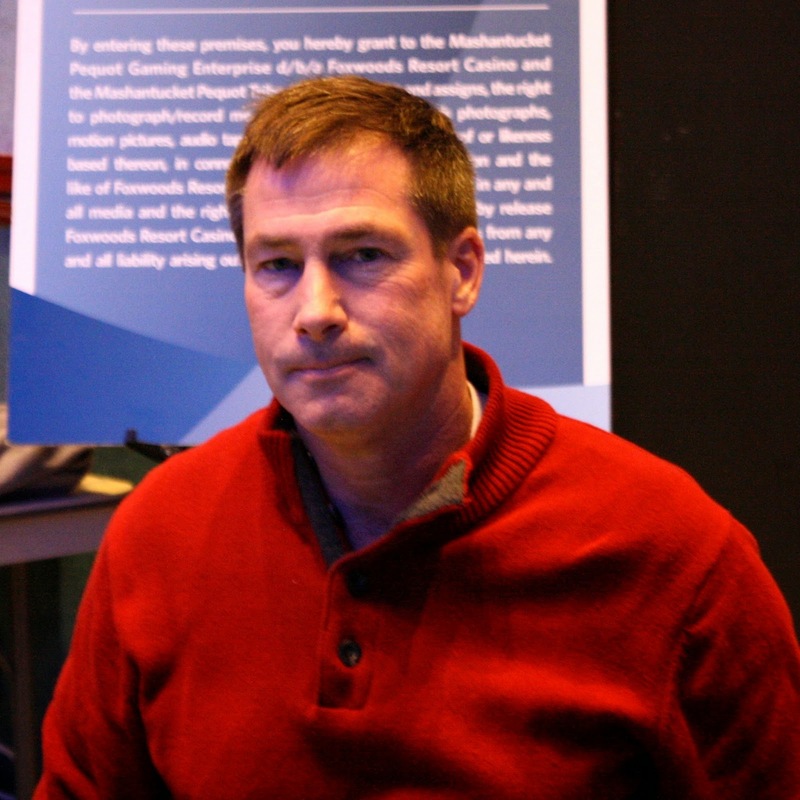 He doubled through Venkat and knocked out Richard L. Fisher in 8th place in one fell swoop. Richard will earn $3,744 for his efforts today. Tekomah Gobbins opened the pot before Tarun G. moved all in. Tekomah made the call with [Qd][Jd], only slightly behind Tarun's [Ac][9c]. The [Qh][6d][7s] changed that, putting Tarun in front. The [7h] on the turn meant Tarun would need to catch an ace to survive. It was not to be, as the [6s] hit the river to give Tekomah two pair. Tarun will collect $2,102 for his 10th place finish. The [3c][Th][Ad] flop was no help, but the [Ks] turn gave the button a gutshot straight draw. 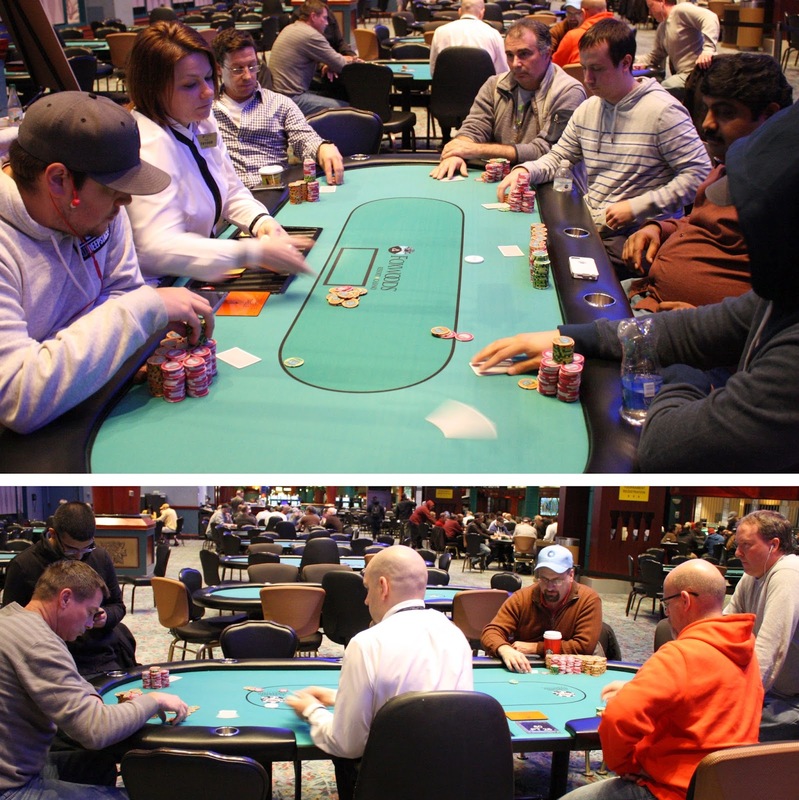 The [2h] hit the river, which means the final table has been reached. The final 10 players will be on a 10 minute break while the tournament staff does a chip count. The final 11 players in Event #6 $400 NLH are now on their 1 hour dinner break. Play will resume at approximately 8:35pm EST, and the blinds will be 15,000/30,000 with a 5,000 ante. 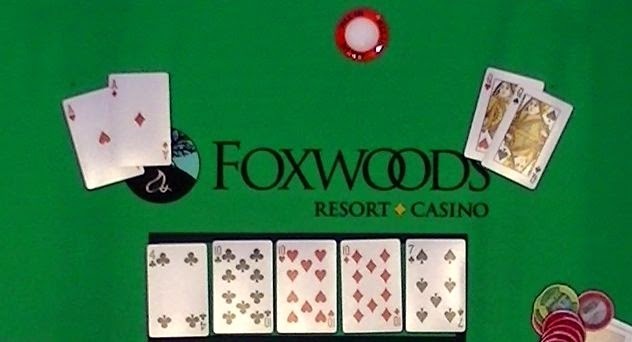 The flop fell [5s][4c][Ah], giving the button the best hand with a pair of aces. The [8s] was a crazy turn card, giving the big blind a flush draw and a gutshot straight draw. It also gave the cutoff a different gutshot. The button would need to dodge a spade, six, or seven to survive. The river blanked the [2d], and the button tripled up while the cutoff ended up with a few chips himself. A player opened under the gun to 52,000 and Tarun G. called from the big blind. 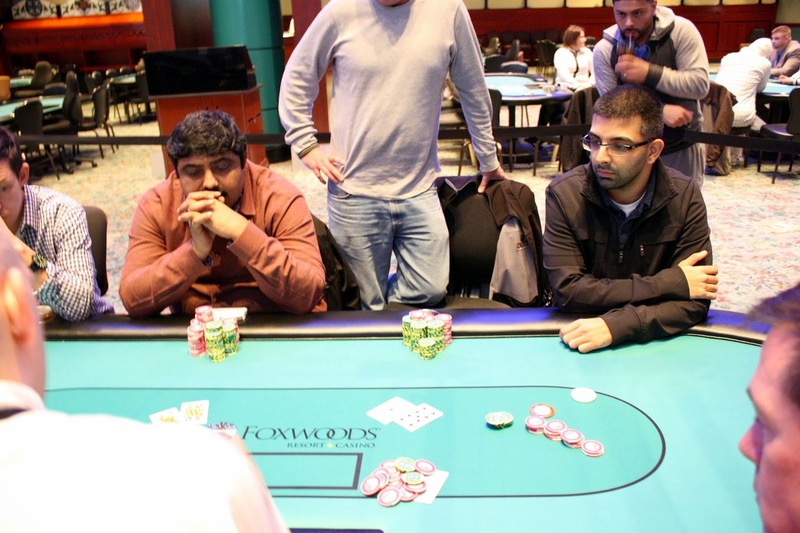 When the flop fell [5d][As][Js], Tarun check raised, and subsequently called his opponent's shove. Tarun held [Ah][Jh] for two pair against his opponent's [Ac][Kc]. Amazingly, the three outer spiked on the turn when it fell [Kd]. Tarun was looking for a jack on the river, but the [5h] fell instead, sending most of his stack across the table. On an A-K-2 flop, Ralph Macri was all in with ace ten against his opponent's [As][2s]. Ralph was unable to catch a ten or a king on the turn or river to survive, and he will exit this tournament in 16th place, good for $1,598. The remaining 15 players have just hit a pay bump and are now guaranteed $1,814. 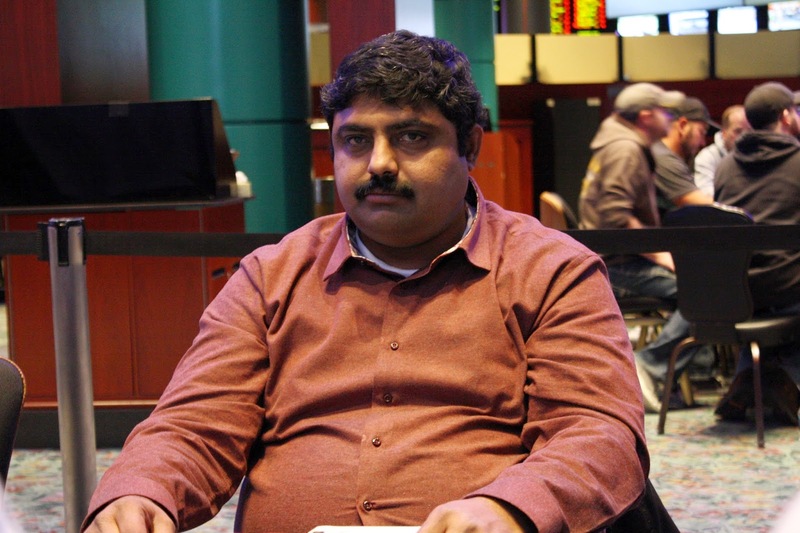 On the last hand before break, Tarun G. opened from early position and was called by the big blind. 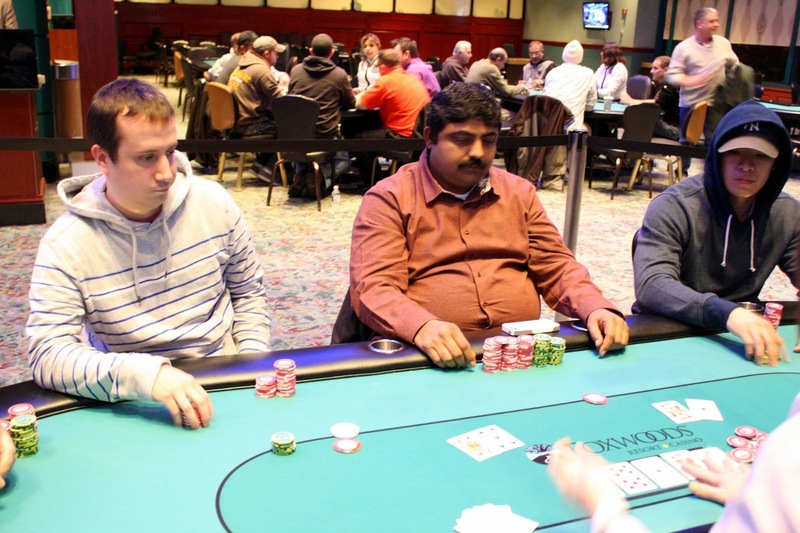 The flop fell [5h][3s][3c], and Tarun bet when checked to. His opponent called, and both players checked the [7d] turn. When the [6c] hit the river, the big blind made a large bet, sending Tarun into the tank. Tarun looked at his cards for quite a while and eventually folded pocket kings face up. His opponent did not show. After the hand, Tarun was knocked down to 875,000. Two simultaneous eliminations occured to bring the field of Event #6 down to the final 18 players. 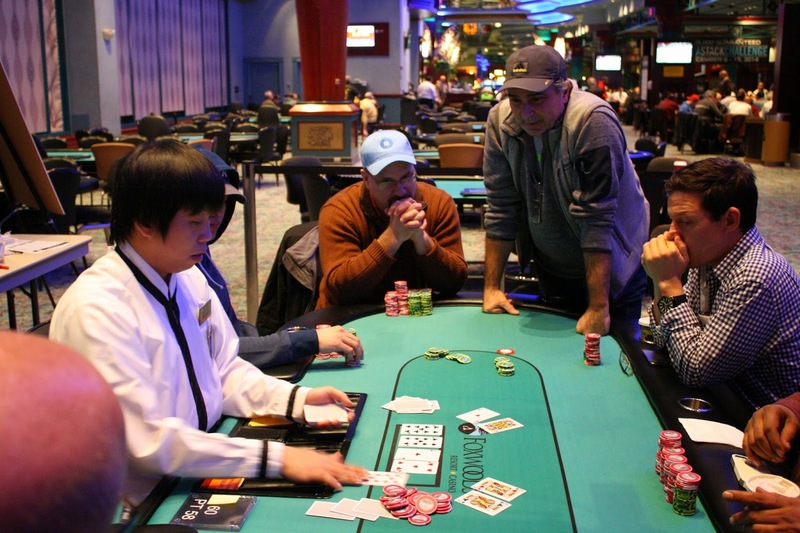 Those players are now redrawing for their seats at the final two tables. The final 25 players in Event #6 $400 NLH are now on their break. When they return, blinds will be 6,000/12,000 with a 2,000 ante. The 43 remaining players are now on a 15 minute break while the tournament staff colors up and races off the 500 chips. With the elimination of our 55th place finisher, all remaining players in Event #6 $400 NLH are now in the money. Everyone is guaranteed a minimum payout of $705, but all eyes are on the $29,881 first place prize. Play will now resume at 2,000/4,000 blinds with a 500 ante. Cards are in the air for Day 2 of Event #6 $400 NLH. 80 players remain and the top 54 players will be in the money. You can watch the featured table on the live stream at www.FoxwoodsLive.com. It's the last level of the night in Flight B of Event #6 $400 NLH. 48 players remain, and there's plenty of recognizable players left. 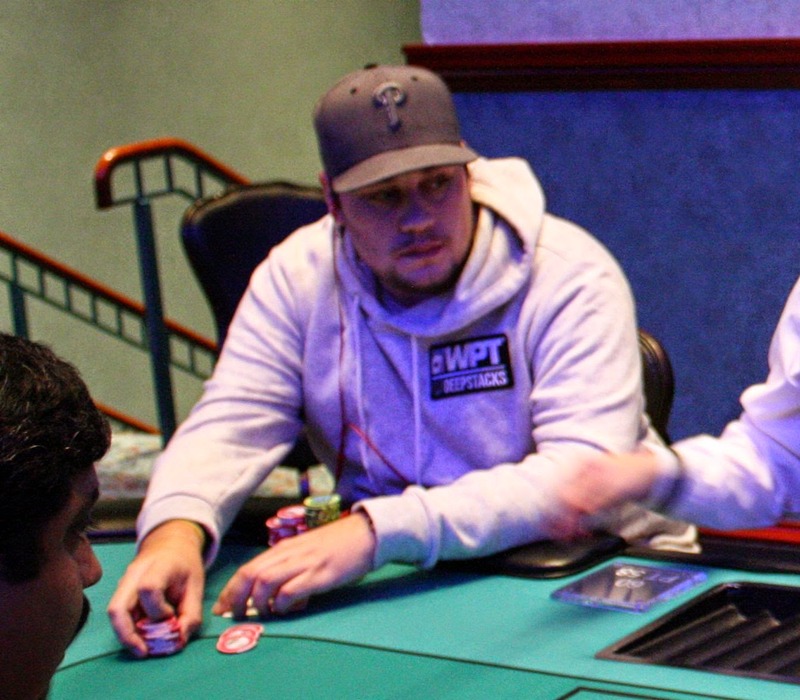 Ryan Eriquezzo, Drew Amato, and Gerald Aiello are among those players looking to survive the final level and bag up for Day 2. Play will resume at 12pm EST.